Can Windows Phone be a viable platform? The Windows Phone platform has been out for over a year and yet, we have seen it make minimal impact on the smartphone market. Its market share has been languishing at around 2% of the global market and at less than 5% in the US market, with sales showing no signs of taking off anytime soon. Can Windows Phone evolve to become a viable third platform? Over the last year, HTC and Samsung launched multiple Windows Phone models to complete indifference from consumers. As a result, OEMs invested less in marketing their Windows Phone products as they didn't see a large market out there that found the platform appealing. Microsoft found this situation so disturbing that they decided rope in the sinking ship that was Nokia, and pay them nearly $250 for each Windows Phone shipped. Even carriers have not shown much interest in promoting Windows Phone. This may change with Nokia roping in AT&T to launch the Lumia 900 in the US, but the platform still has a long way to go. "Windows Phone managed to hit the 50,000 app mark in less than 15 months, while iOS and Android took about 12 and 18 months respectively, to reach the same milestone. This means that the Windows Phone ecosystem is growing faster than Android and roughly at the same pace as iOS". This argument completely ignores the staggering growth in the number of app developers since the launch of the iOS and Android platforms. One study credits the "app economy" created by iOS and Android with creating over half a million jobs, from practically none in 2007. This growth has undoubtedly been exponential, and therefore, we have a ratio of 1-2 mobile developers per app for iOS/Android vs. roughly 10 developers per app for Windows Phone. This clearly indicates that developers have not yet shown great interest in the Windows Phone platform. To corroborate this data, jobs for freelance mobile developers have seen a drop of nearly 30% for Microsoft's platform, while those for Android and iOS have grown by about 160% and 80% respectively. As I've already detailed above, Windows Phone has not really made an impact on the smartphone market, as consumers have been drawn to Android handsets and the iPhone. This has not even escaped the eyes of Nokia's management team, as they've stated in their SEC filing. Now, given that the stakes for Nokia and Microsoft, in the success of the Windows Phone platform, are incredibly high, what can they do to make the platform viable? Research shows that most smartphone owners, specifically 70% of Android and iOS users will retain their current platforms going forward. This trend will only grow stronger as consumers become more familiar with these platforms. In addition to this, Android and the iPhone already own significant mindshare in developed markets, where smartphone penetration is already high. Their mindshare in emerging markets is growing as well, but it is not yet at a stage where it is a significant entry barrier. Keeping these facts in mind, along with the problems highlighted above, the target market shrinks to non-smartphone owners, primarily in emerging markets. Feature phone users, especially those in emerging markets, tend to be significantly price sensitive. Android manufacturers have already begun to acquire these consumers with attractively priced devices, which increase their odds of upgrading the same user to a higher priced handset down the road. 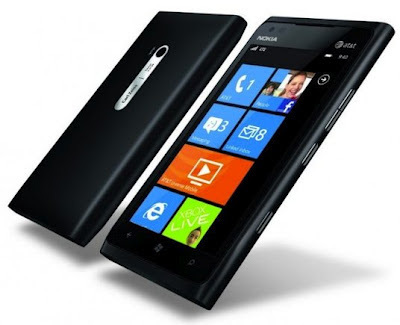 Nokia has taken a step towards this market by launching the Lumia 610 at $250. But this pricing model is not nearly aggressive enough, as shown by Samsung launching the Galaxy Pocket at around $140. In addition to this, Google has made it clear that their next goal is to challenge feature phone prices. According to Moore's law processing power doubles every 18-24 months. The more important business definition is that, today's hardware may cost half as much in 18-24 months. Second, Android, as an operating system, tends to be hardware dependent, because of its ability to multi-task and multi-thread tasks at equal priority. Windows Phone and iOS are less hardware dependent. But as hardware capability improves, Android devices show the largest jumps in performance - anyone who's picked up a Tegra 3 device would know what I'm talking about. This means that today's low-end Windows Phones offer superior performance to low-end Android phones.. The challenge is to get consumers to try these Windows Phone devices while this short-lived advantage exists, when consumer opinion & word-of-mouth is on Android's side. The scary part is that Nokia seems to realize this, and still seems to be dragging its feet - most likely because of the following reason. Nokia is likely very reluctant to aggressively cut prices on its new Windows Phone models because it risks cannibalizing its feature phone portfolio in these markets, specifically the newly launched Asha series. What they need to understand is that these devices don't have much of a future anyway, with both global & local Android manufacturers launching smartphones at the same price points. If Nokia wants Windows Phone to survive, they must cannibalize their own products. Conclusion - Nokia needs to bite the bullet and cut prices & margins on its Windows Phone models to drive adoption among first time smartphone buyers in emerging markets. If Nokia misses the boat on this opportunity, Windows Phone will have little chance to be a major player in the future. Microsoft needs to do more to promote the Windows Phone. MS has to capture all the customers RIM is losing by integrating better Windows functionality into their mobile devices (Outlook, Word, Excel). If a small fraction of the people and businesses who use MS Office on their desktops would buy a Windows Phone, the devices would become the most widely used smartphones around. They've been burning money trying to market the platform. That's not the problem. Also, most people ditching the blackberry are already enamored with Android or three iPhone. Plus, feature phone owners are a far larger market. Microsoft is soon gonna have enough trouble trying to retain it's core PC customers, let alone cross sell windowsphone. Microsoft forgot those loyal fans of windows mobile and didn't understood what customers actually wanted. When they planned for their new os, they should have followed their own way and kept the os open. instead, they followed apple and failed. Android continued windows mobile way and they are what they are now. Same is going to happen with ms with Windows 8. They will fail miserably. Unless MS go towards people and stop pushing people towards their demands, they are going to fail.